Exclusive photos from the set of Netflix’s and Skydance Media’s, the global diversified media company that creates premium, event-level entertainment for worldwide audiences, new blockbuster was released today after Hollywood superstar Ryan Reynolds and award-winning director Michael Bay kicked off their shoot in Abu Dhabi for the highly-anticipated new action movie. The star-studded cast and crew of Bollywood blockbuster ‘Bharat’ has successfully completed their shoot in Abu Dhabi, after an intensive 15 days of filming which included 10 Indian superstars and spanned across three locations and twofour54’s award-winning backlot. Emirati feature film ‘Fan of Amoory’ representing the United Arab Emirates in official competition in six international film festivals. 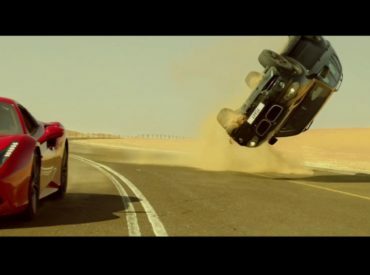 Exclusive footage from behind the scenes of the ‘Race 3’ shoot in Abu Dhabi has been released today on the twofour54 YouTube channel. 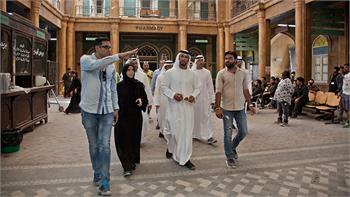 Production of Indian blockbuster ‘Saaho’ wrapped in Abu Dhabi this week – marking the end of a successful shoot of a third major international movie in the Emirate this year. 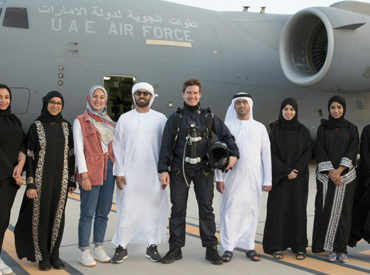 Top talent from three of the world’s leading film hubs have converged in Abu Dhabi for new action movie ‘Saaho’, proving that the Emirate is truly at the centre of the world’s film industry. Popular Arabic actress Mayssa Maghrebi will be appearing both in front of the camera and behind it in new movie ‘Wojooh Moharama’, which is being filmed with the support of twofour54 Abu Dhabi, the latest major Arabic production to be shot in the Emirate. 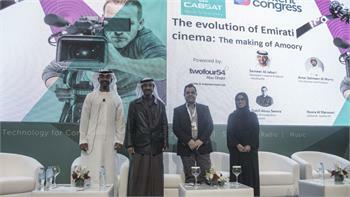 Abu Dhabi’s media hub twofour54 and Abu Dhabi Film Commission announced yesterday their partnership on Emirati film ‘Fan of Amoory’, which is due to hit the big screen next month. 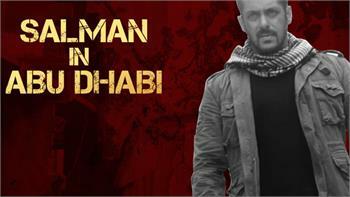 Behind-the-scenes images of the cast and crew of forthcoming Bollywood blockbuster ‘Tiger Zinda Hai’ filming in Abu Dhabi have been released – including a shot of Indian icon Salman Khan riding a quad bike through the desert. ‘Something from the Past’ to the emirate.